Oil contamination is a real turbo killer. A turbochargers turbine shaft and bearings rotate in a thin film of oil. The speeds we are talking about are almost beyond belief. Without any doubt a turbos bearing surfaces are the most oil dependant part of a modern engine and clean is KING and oil contamination is a turbo killer !. Any Oil Contamination with the oil supply to the Turbo means it’s bearings are likely to fail before the engines main bearings. Running a turbocharger without oil for 5 seconds is as harmful as running an engine without oil for 5 min! The vehicles engine oil pressure must meet the manufacturers specifications, and it is critical that the oil feed pipes to the Turbo are clean and clear, so you are certain that they can supply uncontaminated oil at the correct pressure. Contaminated or dirty oil will scratch or score the bearings in the blink of an eye as they rotate so fast, leading to rapid wear and ultimately turbocharger failure. So what causes contaminated oil? A buildup of carbon in the engine. This can rapidly contaminate even new oil. 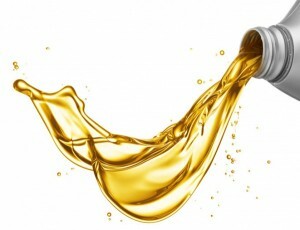 Contaminating new oil during servicing, with screen wash or engine coolant. A faulty oil filter bypass valve causing engine wear, which leaves swarf deposits in the oil. Engine oil that has broken down due to excessive temperatures or extended service intervals. 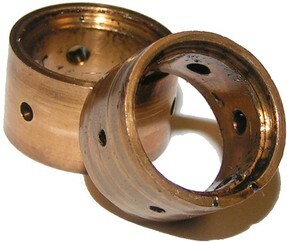 To prevent turbocharger failure caused by contaminated oil. Always use fresh oil and a brand-new oil filter, as recommended by the engine manufacturer when fitting a new Turbo and ensure the oil is the correct grade for the engine or a higher grade. Clean or replace oil inlet pipes to eliminate any carbon deposits or sludge that couldn’t be Turbo or restrict oil flow to the bearings. Take great care when any exposed oil galery or open to atmosphere…you dont want anything falling in !